Are you an eager reader of the editorial and wish Country Queen could answer 200 questions a week? So am I! But she's very, very busy so I thought I'd jump in to help take on a bit of that load, so I'm here to dish out some of the best advice. Help me please!! I've been playing the game for many years and love collecting avatars, but one of the ones that I've been unable to get comes from defeating the Space Faerie in the Battledome. She just seems way, way too strong for me and I can't seem to defeat her no matter what I do. I've invested millions in weapons and my pet is pretty strong. He has 130 HP, 110 strength, 110 defense, and he's level 70! What can I do to beat her?? Hi Starry Eyed Battler! I'm sorry to hear you've been having so much trouble against the Space Faerie. She's quite a strong opponent. May I recommend training a bit more, you want at least 200 HP, 125 strength, and 125 defense. Make sure you also have the faerie ability Lens Flare, that'll render her completely useless for one turn. You'll also want to have some sort of freezing weapon to make it so she can't attack for another turn. My last recommendation is using the Thick Smoke Bomb, this will negate all the damage she tries to inflict on you for one turn. With these tips, you'll have three free chances to attack her. Keep practicing! No matter how hard I try every week, I can't figure out the solution to the Mystery Pic. I covet one of those gold trophies so badly but the blurry image never stands out to me, especially when there are thousands upon thousands of things it could be. Do you have any tips for solving this puzzle every week? Thank you so much for writing in Pixelated Picture Seeker. The Mystery Pic is quite hard, one of the hardest puzzles on the website, but there are a few tricks and tips you can use. One is to resize the image using a photo editing program like Photoshop, that way it looks closer to it's true size. You can browse through Dr. Sloth's Neopets Image Emporium as a quick way to see as many Neopian pictures as possible. But the best tip I can give you is to look at what the prize is for solving the puzzle. More often than not the prize is in some way related to the picture. For example, a Fire, Fire, Your Pants On Fire Paint Brush as the reward could mean the answer to the Mystery Pic lies somewhere in Moltara, or is another fire-related image. Using the tools above plus the image as a hint will really narrow down what you are looking for and save you a lot of time. It isn't always easy to deduce the image through the prize but it is a major clue. In no time you should be topping the high score charts for your dozens of Mystery Pic trophies! I've worked really hard on my account. I want it to be really flashy and beautiful and I want to make other Neopians jealous when they visit my profile. I have over 300 avatars, over 300 stamps and collectable cards, and all my pets are beautiful. But I only have a couple trophies! I'm no good at flash games and don't know how I can improve to get more than the two measly trophies I have. Do you have any advice on how I can get more trophies? It's good to hear from you Trophy Trotter and I have the perfect solution for you! There are many trophies you can earn that don't require you to be even one bit good at flash games. Snow Wars is a pretty easy spot to start, from there work your way up through the ranks of Go! Go! Go! and Cheat! Already you'll have three more trophies on your profile! If you have patience, you'll eventually win enough at Sakhmet Solitaire and Pyramids that you'll get a bronze or silver trophy on your lookup (or if you are very, very lucky, a gold trophy). Of course there are the competitive games Kacheekers, Armada, and Geos that will pit you in bracket style matchups against other users, and if you keep winning you'll get a trophy in each. There are quite a few other games that are pretty easy, Ugga Drop and Bruno's Backyard Breakaway come to mind. Now, none of these are SUPER easy, they all take a little bit of practice, but they aren't nearly as hard as getting through a Roodoku puzzle! And if all else falls, spend a couple hours destroying Punchbag Bob in the Battledome and he'll give you a special trophy! I love to write and I've submitted over and over for the Poetry Contest but can't get myself published! I've sent in dozens of haikus and they never seem to make it in. Do you have any advice on getting that trophy and being able to share my words with the world? I'm so sorry to hear that Poetry Pouter, but I've got just the advice you need! The Poetry Contest is quite difficult because there are so many incredible writers in Neopia. My first bit of advice is to ditch the haikus. Yes, haikus are sometimes published but it is quite rare. They are very short and don't really show off your skills as a writer, unless you write AMAZING haikus. Longer form poems seem to get priority. And please consider writing a poem relevant to the upcoming holidays. 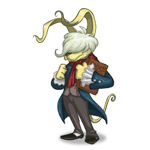 If a Neopets special day is coming up, write a poem all about that species. Those are more likely to get published. I can't wait to see your writing in there, I know you can do it! Best of luck to you. That is going to wrap up this week's advice! Check back in future Neopian Times, I'm sure I'll be back with more advice for you to take. And if you have any questions you'd like featured, drop me a Neomail and I'll see how I can help! !